Darien Design: 'Tis the Season for festive cards! 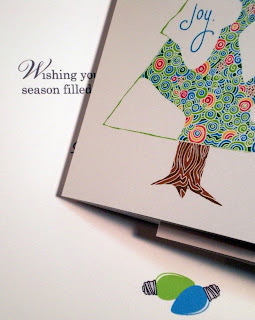 'Tis the Season for festive cards! One of the more personal gifts I like to give each year during the holidays is a home made card. 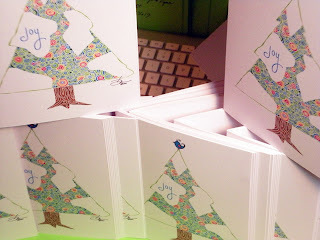 This year's card reflects a slightly refined version of a sketchbook doodle style I thoroughly enjoy creating. I love letting my thoughts get lost as the pen makes it's way around the page in lines and shapes. What makes theses even more special is each card is individually scored, folded, cut and delivered with love.